The key holder carved out of wood is very beautifully crafted. 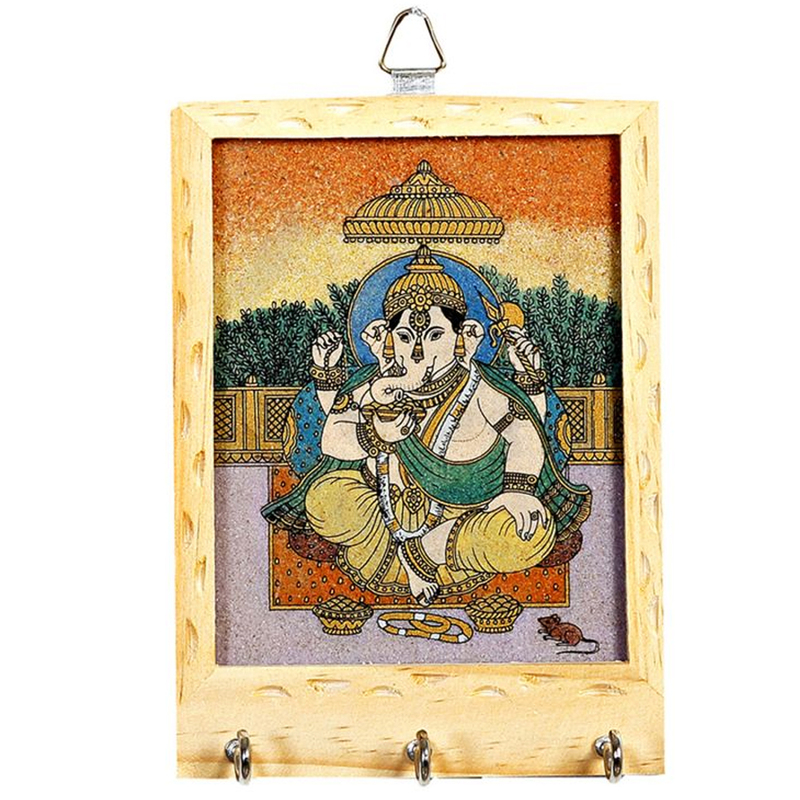 It is 100% handmade and showcases the art work of creative craftsmen. The key Read More..holder can hold two keys and gemstone painting embraces the front surface of the key holder. Ganesh ji is depicted in his sitting position. The base of the key holder is wooden color. There is a holder on top of the key holder so that hanging it becomes easy. Show Less..